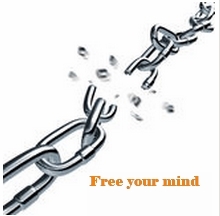 An addiction health retreat to help bring freedom from addictions into everyday living……. Addictions come in many forms, some obvious and some less obvious. It is our understanding that for a person to be able to overcome addiction, the original cause (or traumas related to it) need to be discovered, explored and transformed so that an addiction no longer has the same grip on that person. It means taking a really honest look at our social conditioning and understanding how an addiction may have taken hold in ones life and how they may be reversed. It means finding ways to come face to face with what an addiction is trying to actually draw our attention to (or away from) in life and find tools and resources to deal with them when they try to lure us in again, so that we can experience a greater freedom in life. As each one of us is so unique, and what has led to having addictions in our lives results from only the events in life we have experienced and how we perceive them, we believe that a live-in individual retreat can be of great benefit to anyone who has really had enough of the addiction that is now seen to be interfering in ones life. It is important to know that, you are not the addiction, and the addiction is not you and that addiction can be temporary. This statement will become a lot clearer when you come on Retreat with me. My commitment to you is to teach you and facilitate a programme that provides you with tools and experiences that can help you to get away from an addiction and grow into a greater state of appreciation for your life and how it unfolds, without the need of trying to get out of it. I understand Addiction to be a psychological state triggered by particular perspectives on life (how one perceives their life). For Addiction to no longer have a hold in life we need to correct the psychological states we experience and regain an appreciative interest in life. When people really take hold of the education offered here (with the support of the other treatments involved) and discover for themselves what may have led to addictions and get to learn a way to correct the belief systems associated with them, they have made significant changes in their life and together with ongoing support and applying what they have learnt they are able to appreciate living and everyday life and who they are. I have put this programme together based on my learning, research and experience in bringing treatments, therapies (and therapists) and teachings together in such a way I believe allows my guests the greatest opportunity to recover. Your retreat is private and confidential meaning that your personal information is not disclosed to anyone else except those who you share it with. It is focused on high quality, professional treatments and therapies to support your recovery from addiction. The minimum stay is 7 days living onsite with me with follow up support. A maximum of 14 days living onsite with me with further extensions may be arranged by mutual agreement and is subject to availability. If you have at least average health and feel you have enough physical energy, we highly recommend that you do a Detox Health Retreat and let me know that your main focus for this retreat would be to overcome an addiction. Life coaching. A purposeful series of life coaching sessions where together we look into what existing belief systems you have that are likely to caused psychological stress and your current health conditions (addiction). I can very quickly discover this by hearing some of the stories you tell and how you tell them. I teach you common ways of thinking that can lead to addiction and psychological stress. I address the causes of psychological stress from belief systems that are common is society that are based on achievement, fear of missing out, that things should be different and that self worth is measured by achievements and the value of your contribution to society and in your own life, and how it is measured by others. I then teach you how you may neutralise it and grow and develop into the appreciation of life and living. Remedial massage. These are remedial massages to support detoxifying your physical body and relaxation. Exercise. I will encourage you to take part in exercise that suits your current health level while you are on retreat. My highest recommendation for exercise if practical for you is to attend yoga classes at an extra cost per session. These sessions are highly recommended by me as as I believe they will support and complement your retreat. Yoga sessions can assist you in opening your body and mind to a greater appreciation of being alive. Retreat Options are listed further on below. Live-In Addiction Health Retreats are individually designed to bring together supporting treatments and therapies which have proven themselves proactive in the overcoming of addictions. My involvement is of the nature of guide, coach, facilitator, supporter and teacher and it is in this function I specialise in. I create a safe and supportive environment in which you can experience emotional, deep level healing and personal development. There are three options for the addiction health retreat as listed below. Alternatively I may design a retreat for you that is a minimum of 7 days. This intensive retreat is most suitable for people who may be seeking to overcome a less serious addiction and still mainly coping reasonably well with life. I recommend that you have a quiet week afterwards (like an at home retreat) with plenty of time for yourself to continue absorbing and putting into practice what you will learn here. It is important that you will be returning to a supportive environment after this short intensive retreat. You will gain many resources while on your retreat and time and sometimes patience is needed to apply and experience them once you leave. Regular follow up calls for up to three months (upon agreement). You will gain many resources while on your retreat and time and sometimes patience is needed to apply and experience them once your leave. We recognise it to be extremely important to have easy access to support once you go back into the environment you came from just to help guide you and answer some of the questions that are likely to come up in relationship to what you have learnt and experienced and how to apply it in your life. Although this more comprehensive retreat allows more time than the intensive retreat, it is suitable for people who may be seeking to overcome less serious addictions and still mainly coping reasonably well with life. I recommend that you have a quiet week afterwards (like an at home retreat) with plenty of time for yourself to continue absorbing and putting into practice what you will learn here. It is important that you will be returning to a supportive environment after this comprehensive retreat. You will gain many resources while on your retreat and time and sometimes patience is needed to apply and experience them once you leave. Regular follow up calls for up to three months (upon agreement). You will gain many resources while on your retreat and time and sometimes patience is needed to apply and experience them once your leave. I recognise it to be extremely important to have easy access to support once you go back into the environment you came from just to help guide you and answer some of the questions that are likely to come up in relationship to what you have learnt and experienced and how to apply it in your life. At some time during your retreat, I can arrange an optional outing that creates the “Wow” factor for you, e.g. 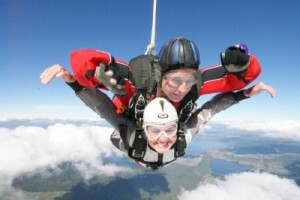 skydiving, nature walks, visiting tourist attractions in the area, etc. (These activities come as an extra cost and are subject to seasons, weather and availability). We can discuss this when you make your booking. The photo shows one of our guests experiencing the Wow Factor. What is your Wow Factor? If you decide to add other treatments and therapies after your arrival I will do my best to organise it for you so long as it does not encroach on your existing programme. Leaving the premises is to be arranged with me. I am a compassionate man and easy to get along with. I do recognise that changing your present lifestyle can be difficult and you may encounter some feelings of withdrawal from substances, people or routines. I am here to support you so you can dedicate the time you spend with me entirely to your retreat programme and your goals. To ask any further questions… or to arrange a time with me to so we can discuss the best programme for you. I invite you to talk to a past guest who has attended a similar retreat to the one you are considering, to get a better idea about what you might expect by coming on retreat with me. I am very happy to arrange this for you. Please let me what I can do to make you feel more comfortable with your decision to come on retreat with me.